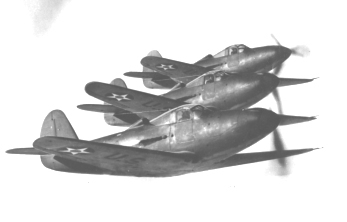 Training in P-39's "Bell Airacobra" back in the states. 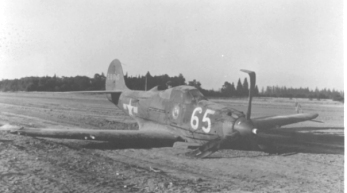 Lt. Clayton Gross bellied in July 23,1943 at Portland Army Air Base after his engine quit while flying upside down during training! 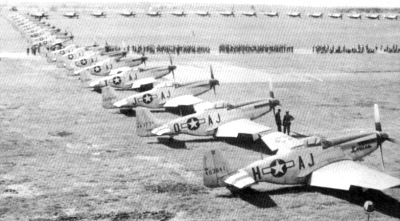 The 354th "Pioneer Mustangs" on review! 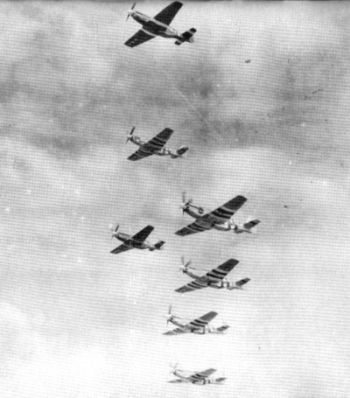 The 356th FS on a mission with Capt. Richard Turner in "Short Fuse Sallie" (4th from top). Capt. Turner led 4th of July mission with Gen. Eisenhower over Saint Lo'.